In addition to being some of the most majestic and fearsome creatures on the planet, we all know that polar bears are white, right? All those nature programmes we see, not to mention depictions of polar bears in books and photos, all show they are white as snow, aren’t they? Well, in spite of being a commonly held belief, this assumption isn’t quite true. But hold on, you’re thinking, what about all those incredibly accurate nature programmes that show us polar bears as being white?! Well, it’s important to think about what we are actually seeing on those shows, as well as the habitat, surroundings, and biology of polar bears. We’re going to look at this in a little more detail below. 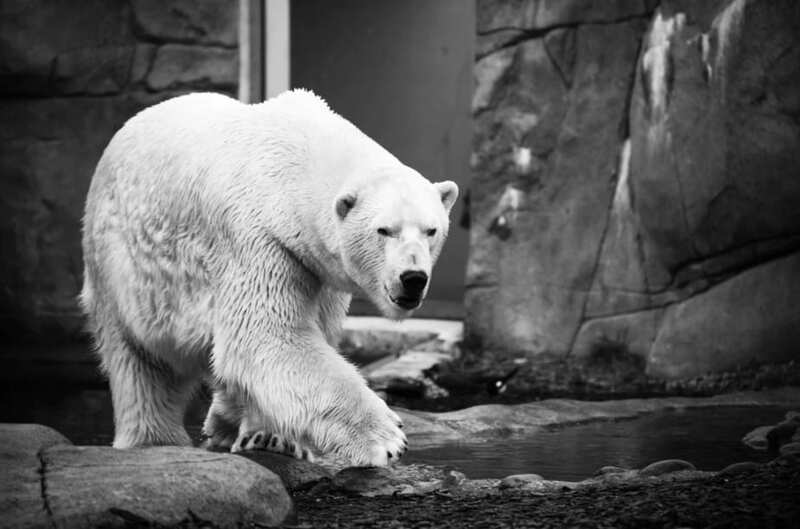 Polar bears are actually descendants of brown bears, except that they have evolved and adapted to live and survive in the freezing conditions of the Arctic. Among these sensational changes is the evolutionary trait of taking on white coloring in order to blend in better when moving across the snowy and icy tundras. This makes it much easier for them to hunt, as well as train and protect their young. They wouldn’t get very far if they still sported brown fur now, would they?! So, you might think from this revelation that polar bears are definitely white, but you would be wrong. In actual fact, polar bears have black skin, and their fur is clear, but it gets its color as a result of its structure. The pigment is what gives color to skin and hair, but polar bears have a pigment that makes the light reflect their surroundings, absorbing the white around them, and making them come across as white, when in reality they aren’t. We already know that perhaps the main reason behind polar bears having clear fur is to help them blend in with their surrounding area. It makes camouflage much easier, and helps them hunt, but there are additional theories as to the benefits as well. For a long while, people thought the clear fur allowed polar bears to absorb more sun, thus keeping them warmer. However, this has never been proven, and has more recently been debunked. Sometimes, it’s true, you might see a polar bear who comes across as slightly green, or discolored. 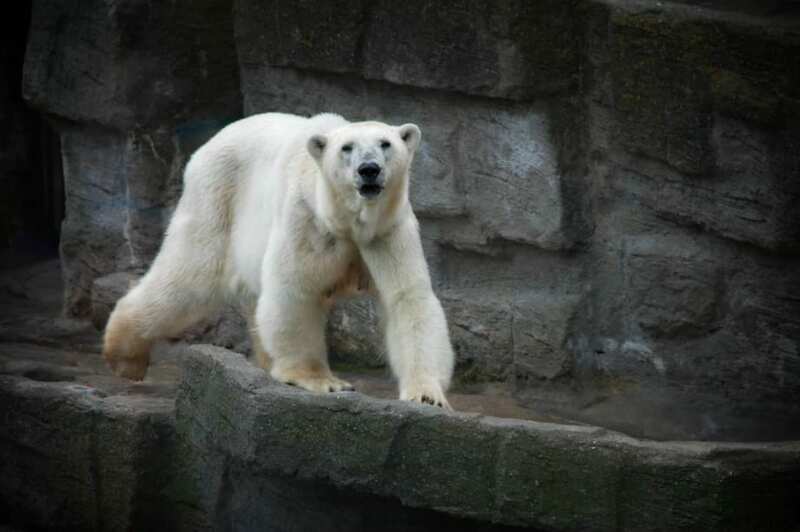 This is not a radioactive polar bear (you know you were thinking it! ), but it’s actually a result of hollow hairs, in which algae sometimes grow! Most often this occurs when the weather is a little balmier and hot – and you might also find bears in zoos with similar discoloration. So, there you have it – polar bears are not actually white. It’s all to do with color spectrum, and our eyes playing tricks on us! This is the sort of revelation that we think makes polar bears even more interesting and unique. The natural world is full of stunning facts like this, and we feel it’s something that makes polar bears even more fascinating creatures.